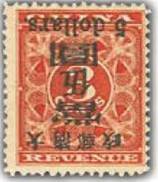 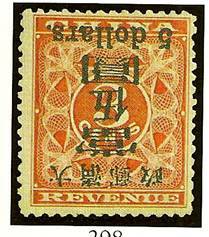 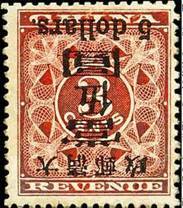 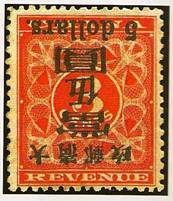 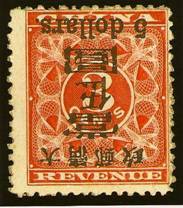 In Jan. 2009, the Spink Hong Kong auction lot #1222, Inverted $5 Red Revenue, realized the highest recorded price for this rarity. 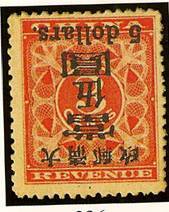 The hammered price was Hong Kong $380,000 before commission; roughly equal to USD$55,700. 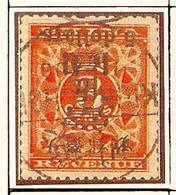 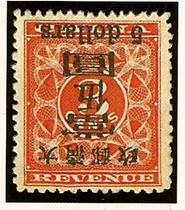 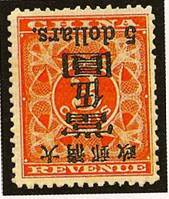 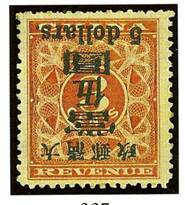 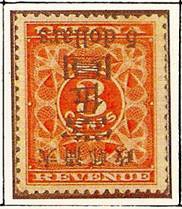 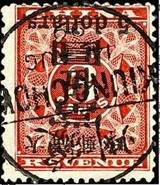 Many previous studies stated that this Red Revenue inverted variety has about 70 copies existing. 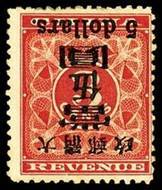 I personally think it should be less. 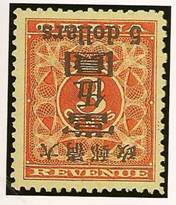 The total printed number was estimated at 5,000. 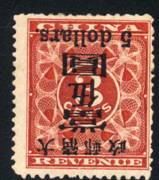 The inverted print should be around 500 (10%). 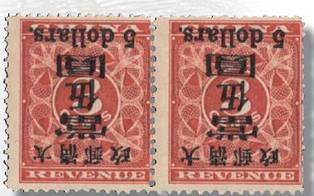 There are a few hundreds of regular $5 exist (which I also doubt). 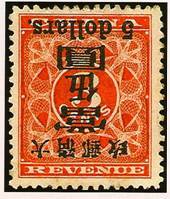 Base on the same ratio, the inverted $5 should have roughly 30-40 in existence. 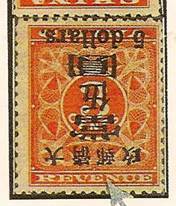 This number is less than the small $1. 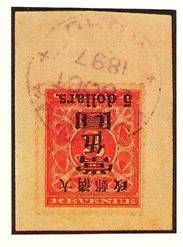 I started to consolidate all the images from previous auction catalogues and other references. 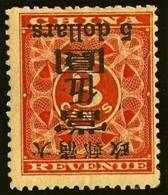 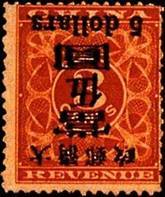 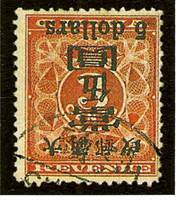 I used Wu Le Yuan��s Red Revenue Surcharges book as the guide to identify each stamps plate position. 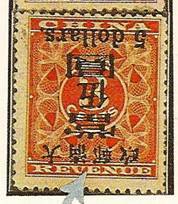 This maybe the first time a study put together so many colored images of this rare stamp.